Our staff specialise in removals for items such as pianos, grandfather clocks, barometers and other antiques. 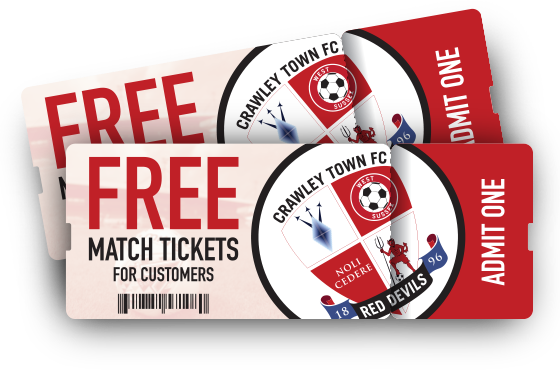 Moving is a stressful time of your life and items like these can add onto the pressure of moving, we want to make sure we relieve the pressure and provide an easy solution for you. We also spend a lot of time delivering sensitive items like these to and from auction houses. We regularly move pianos for home removals and church performances. 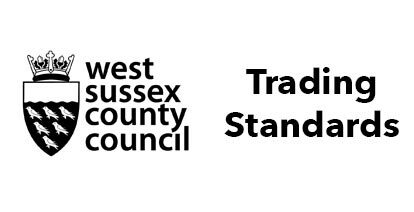 We have a long standing relationship with West Sussex Music and carry out all of their instrument moves. 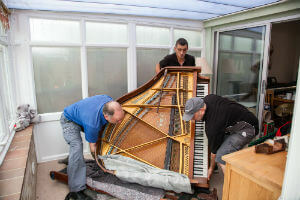 Items like pianos need enormous care and attention when being moved. 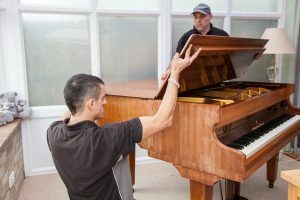 Moving a piano requires trained movers to ensure it arrives safe and sound to its new location, especially if there are stairs or narrow spaces to navigate. Our team use specially designed piano shoes, quilted covers, piano wheels and tail lifts. 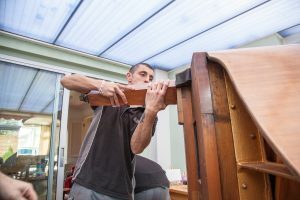 Whether it’s an upright piano, baby grand or full concert piano, our dedicated team of piano movers will collect it and safely transport it to its new home. Our fully insured removal services will give you peace of mind that we will take extra care of your instrument. Our team are trained and well equipped when it comes to moving chandeliers of up to 3 feet. Chandeliers are a particularly tricky item to move since we do not dismantle them, instead we keep them hanging and build a custom crate with a bar to hang the chandelier on. 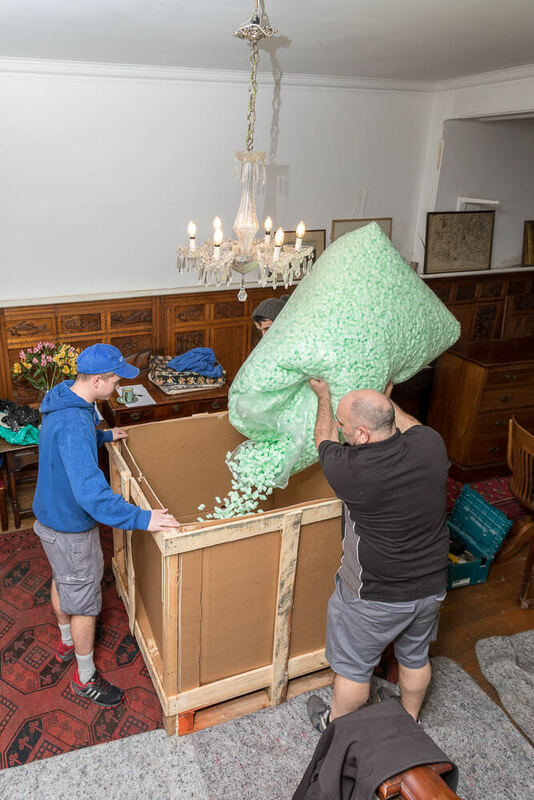 Once fitted, we fill the crate with polystyrene balls to ensure all parts of the chandelier are safe. Special lining is also used in the bottom of the crate to catch and save anything that may fall down. Again, barometers are an extremely sensitive item to move and we have the staff to deal with it. Barometers need extra care to ensure the mercury is protected; they also cannot be put at an angle of more than 45 degrees. Grandfather clocks need to be dismantled due to the weights inside. 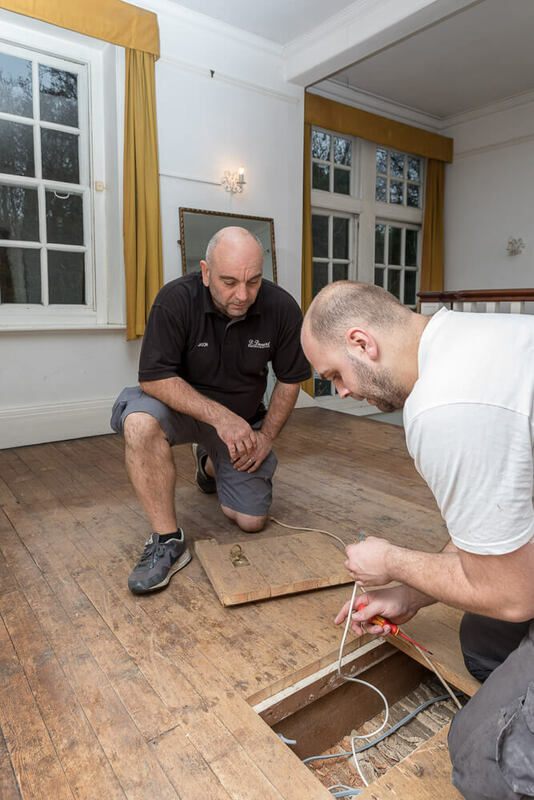 We have specific training for our staff with the dismantling and removal of grandfather clocks as it is crucial we put everything back together in working order. Grandfather clocks are sensitive items and should be treated as such. As one of the top removal companies in Horsham, Crawley and Guildford, we are experts in the various neighbourhoods and surrounding areas. We are familiar with the typical house layouts and construction of houses, meaning that we are able to anticipate any issues or access restrictions before your move takes place, saving you time and stress. 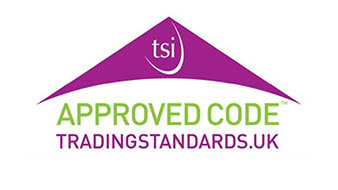 We are delighted to be a member of the British Association of Removers.